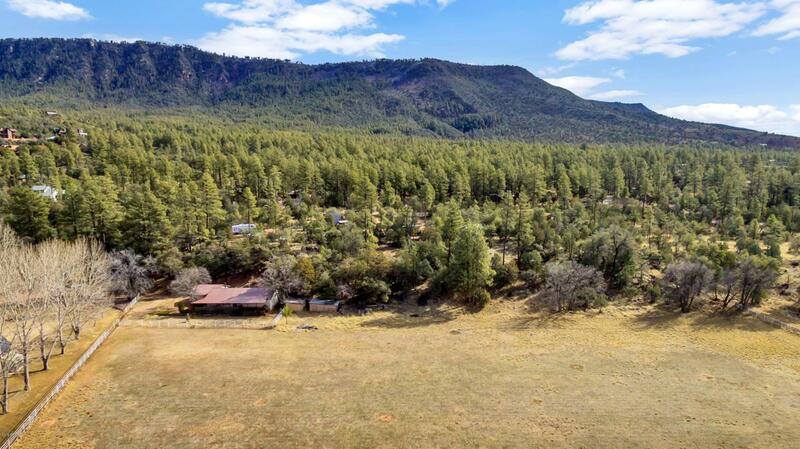 Escape to your cool forest oasis in Rim Country! 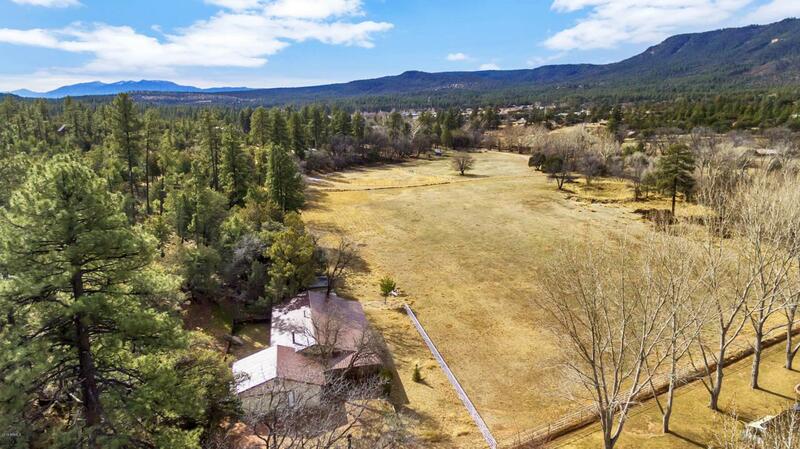 This just over 7.5 acre horse property is useable acreage that contours a seasonal creek, Pine Creek, and is shaded by mature trees and surrounded by blackberry bushes. 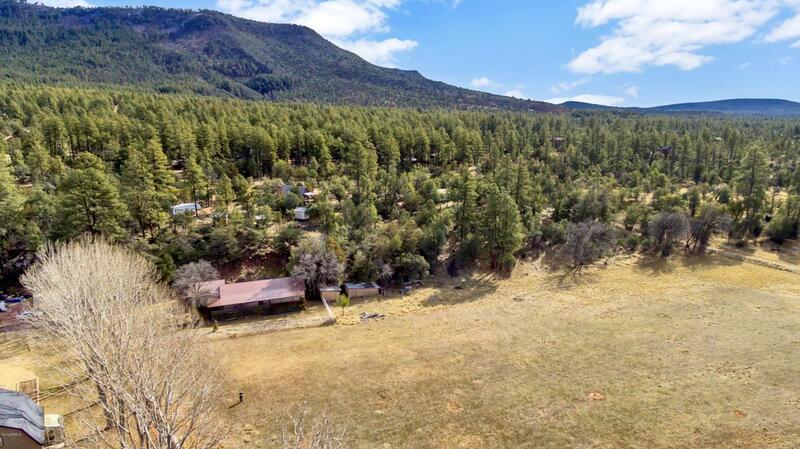 The charming single-level, 3 Bedroom/3 Bath home greets you with a welcoming wrap around covered porch overlooking the property. Imagine a front porch swing, a perfect spot to enjoy nature on a cool summer evening. Once inside, the tiled foyer opens to an open living area, with open kitchen and dining plus living area with wood burning stove, perfect for entertaining friends and family. The master bedroom has a king bed, large walk-in closet and en suite bath with dual vanities. 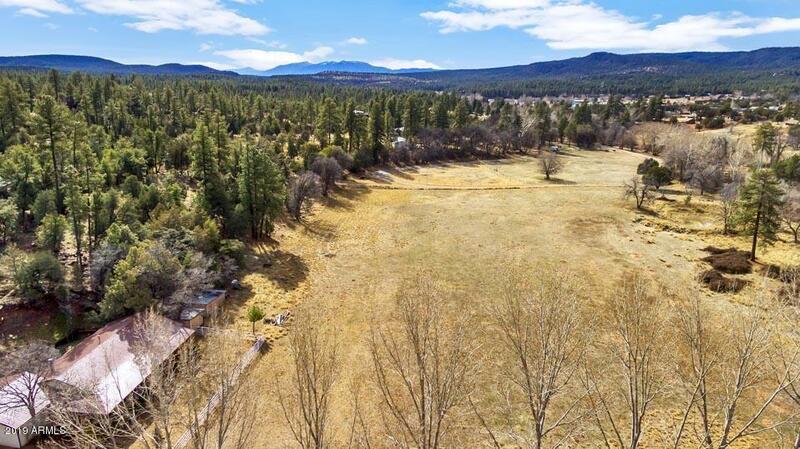 The location with this acreage is irreplaceable and impossible to replicate!